Tooth loss can be embarrassing – but fortunately, there are plenty of solutions available for patients who suffer even the most devastating losses of teeth. At McCauley Dental, we are pleased to offer the best dental implants in Boca Raton to those patients who qualify. There are many benefits to getting dental implants in that make them a desirable alternative to dentures and temporary bridges. We’ve put together a list of benefits to getting dental implants. What do dental implants in Boca Raton offer that other dental replacement options don’t? They look, feel, and act like real teeth. Unlike dentures – which need to be taken out and cleaned every day – implants stay in your mouth and behave like your natural teeth. 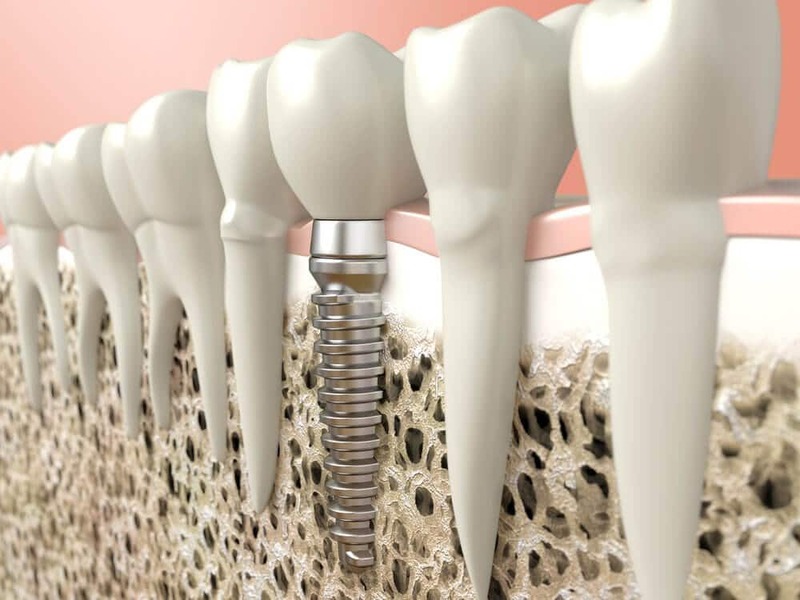 The secret, of course, is in the implant itself – it embeds into the bone in your jaw and behaves like an actual tooth. This makes it a perfect option for someone who doesn’t want to deal with the messiness and embarrassment of dentures or bridges. 1. They’re healthier than dentures or bridges. Over time, the use of dentures can erode the integrity of your jaw, making you more susceptible to mouth problems. Studies have shown, too, that over time, these problems can extend throughout the rest of your body. With implants, you never have to worry about the integrity of your jaw being compromised, or with any other health-related problems over time. They make you look better. When your mouth is missing teeth, your face will take on a sunken, droopy appearance. This can make you look “old,” even if you aren’t. With implants, your face will not have that sunken, droopy appearance, which will make you look – and feel – younger and better! They will protect your healthy teeth. Dentures – and bridges – will, over time, erode the natural structure of your healthy teeth. Implants, however, will not damage the healthy teeth that are near them, and will – in actuality – protect their integrity! At McCauley Dental, we believe in providing you with the best dental implants in Boca Raton, no matter your age, and no matter how long you’ve suffered from tooth loss. For more information on how we can provide you with the premier dental implants in Boca Raton, contact us today.